Uppsala Municipality has for many years supported different initiatives to promote good living conditions for elderly people. For elderly people in need of care, a central aim is to provide high quality home care services and options for sheltered housing. Ambitions also concern transportation facilities especially designed to meet the needs of the elderly. Elderly care in the municipality is provided through close cooperation between municipality-based, private and non-profit actors. Uppsala offers all elderly people a voluntary home visit. The voluntary home visit serves as an opportunity for senior citizens to express opinions and ask questions, and for the local employee to gather important information about the crucial concerns of the seniors. Uppsala has a telephone for senior matters that is open for calls daily Monday–Friday. Seniors and others can call and ask questions or express opinions about senior matters in the municipality. Meeting points for seniors are available throughout the municipality. They offer physical and non-physical activities with the aim of prolonging healthy ageing. Cooperation with the non-profit sector is of vital importance. The non-profit sector can offer services not available through the local administration and serve as a complementary actor in the local community. Uppsala has an elderly advisory board in place at city level, aimed specifically at addressing broad societal issues of interest for the elderly in our municipality. The Age-friendly Cities Initiative will serve as a supportive framework for the future work of the advisory board. We believe that the initiative will help us work more coherently and altogether better on the topic of the demographic changes and the ageing population. 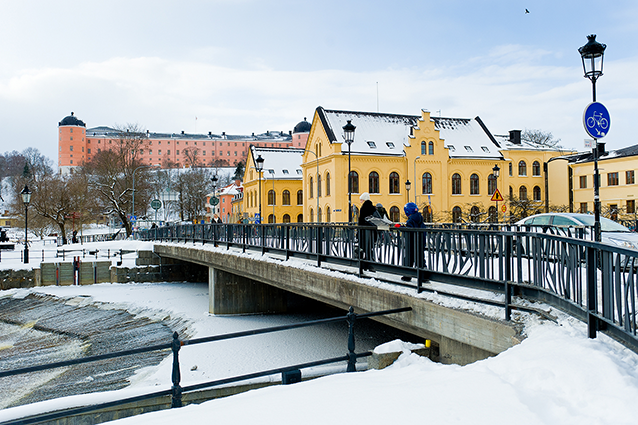 Uppsala plans to make the community more age-friendly in several respects. A central aim is to develop and modify housing for older people as needed. This includes better possibilities for the elderly to move to senior housing, as well as providing houses with lifts and promoting more age-friendly outdoor spaces.